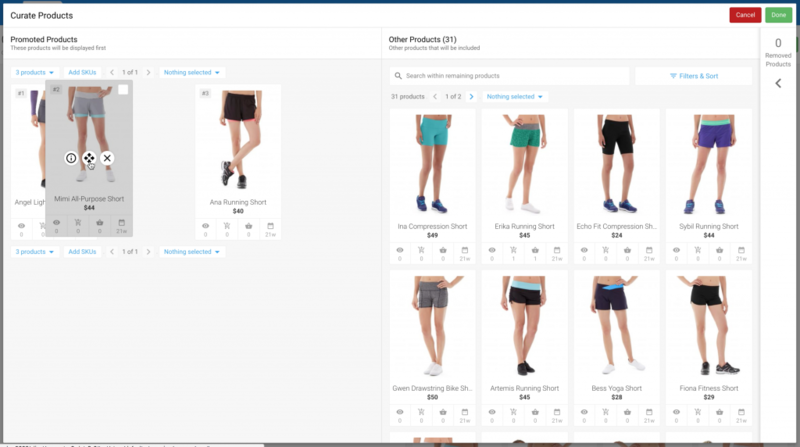 While a google search for “e-commerce visual merchandising” shows FredHopper (Acquired by ATTRAQT group) for Magento, alternatives are missing, limiting choice for visitors like yourself. Tagalys offers most of our features to Small & medium size retailers like yourself, with only premium functionality limited only to Enterprise Retailers. Our pricing is public and linked with usage so you only pay more as you grow. With liberal usage tiers starting at $99/mo that includes 20,000 page views. Our customers see a 40% increase in revenue growth & over a 50% saving in time spent to create & maintain product listing pages. 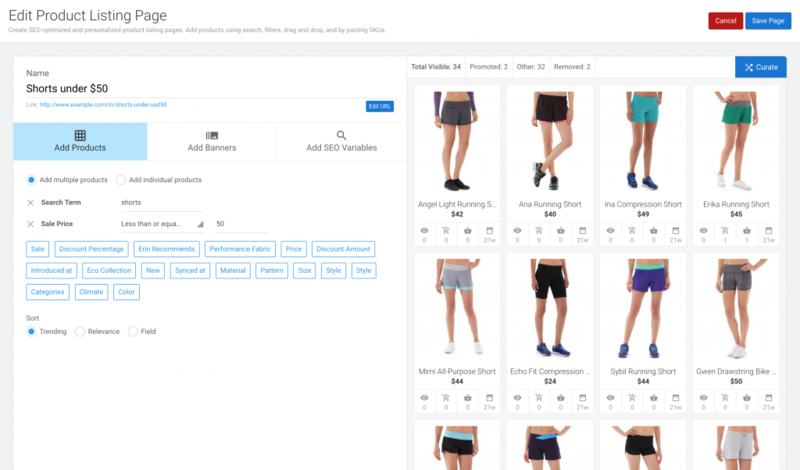 Assisted Merchandising: While Merchandising is an art, data is important to assist your team before they decide to promote or hide products from your visitors. Tagalys queries the performance of each product for the last 30 days, providing your team with data to make informed decisions. Ease of use: Tagalys allows your team drag & drop products in order to promote or hid them from your visitors. It’s that simple and designed keeping you in mind. Now that you have facts about each product, go ahead merchandise with confidence with data as your guide. Check out how to make a simple sale page or new arrivals page in seconds and never come back to update it. 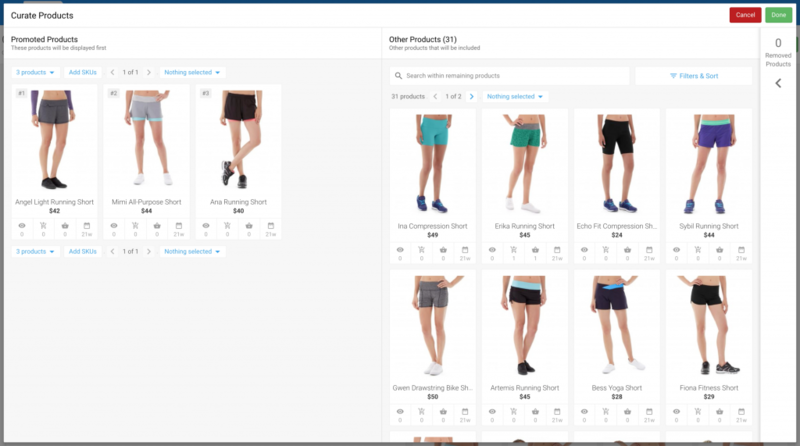 Save on Engineering resources: Merchandising a product listing page on Tagalys takes seconds and once done, you can launch that page immediately, saving resource time from your engineering teams. Allow them to focus on keeping your e-commerce platform running while you focus on engaging your visitors and increasing revenues. Performance reports: Every page created on Tagalys has inbuilt analytics that tracks visitor engagement. When you use Tagalys for your digital marketing campaigns, get real-time performance insights to allow your team decide which campaigns are working and which is not, so you can decide the best use of your marketing budgets.